(CBS/AP) The new flu vaccine for the upcoming 2012-2013 influenza season has been approved by The Food and Drug Administration. Each year the FDA works with the Centers for Disease Control and Prevention (CDC) and the World Health Organization (WHO) to design a vaccine to protect against the three viral strains most likely to cause the flu in the upcoming year. This year's vaccine has one strain in common with last year's vaccine, plus two new viral strains its targeting. The vaccine will be manufactured by six companies, including GlaxoSmithKline, Sanofi and Novartis. "There is always a possibility of a less than optimal match between the virus strains predicted to circulate and the virus strains that end up causing the most illness," the FDA said in a written statement. "However, even if the vaccine and the circulating strains are not an exact match, the vaccine may reduce the severity of the illness or may help prevent influenza-related complications." According to the Centers for Disease Control and Prevention, between 5 and 20 percent of Americans get the flu each year, leading to 200,000 hospitalizations. Flu-related deaths vary each year and can range from 3,000 to 49,000. 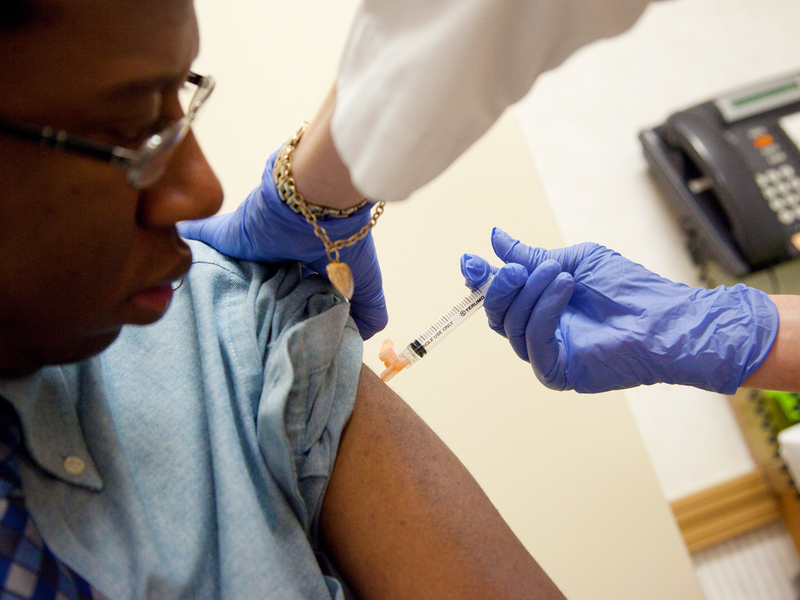 The CDC recommends that everyone older than six months receive an annual flu vaccine. The CDC has frequently asked questions for the 2012-2013 influenza season.